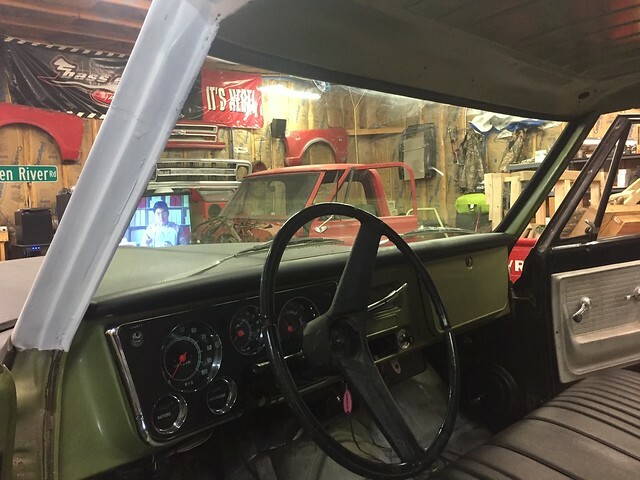 Well I came to the point in the build of my ‘67 to either cut corners to get it on the road, pay someone to finish or buy another truck to drive. I took the most logical solution: I bought another truck. I’m not giving up on my other project and I don’t want to cut any corners since I’m so far in. I do however miss having something cool to drive on nice days and weekends. This should fit the bill. Story behind it is a buddy of mine traded for it and was going to fix it up for his driver until he found a nice ‘68 he had to have. Him and I came to an agreement and I decided to buy it. 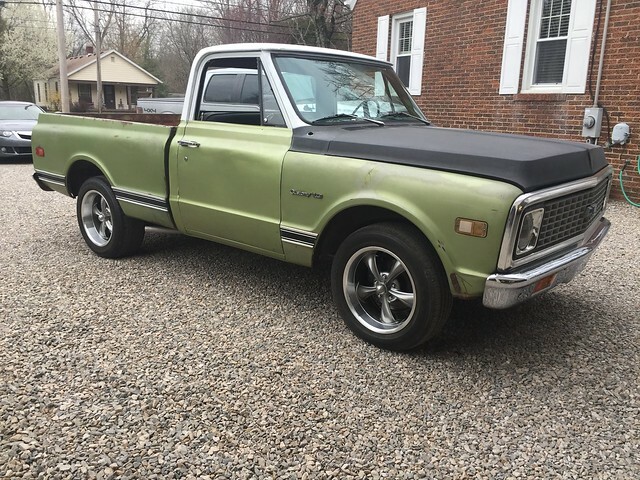 The truck is a 1972 swb Medium Olive Green C10 with few options. Drivetrain is a 350/3-spd, 3.73 or 4.11 rear end, manual brakes and manual steering. The appeal to this truck for me is the drivetrain is sound with many new parts like brakes and clutch. Pretty amazed how good it rides and drives. This will be a very budget build and I’m not allowed do anything to bring the truck down for more than a weekend, as per my better half. I’ve got serveral parts sitting in the garage that will make its way on the truck in the next few weeks. I’ve got most of the parts to put a basic air ride setup sitting on the shelf but more than likely go static due to simplicity. 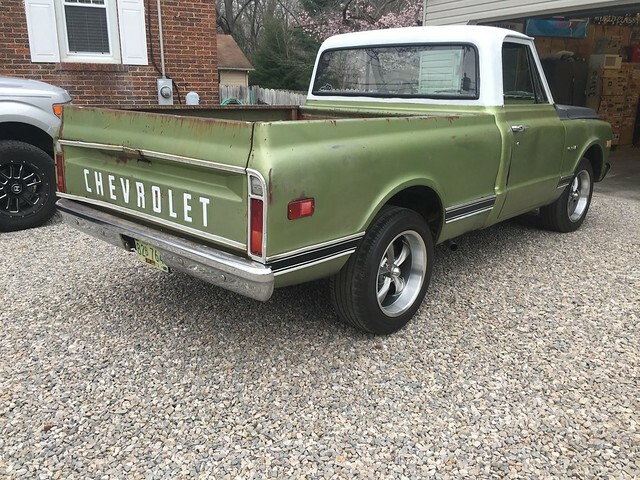 I named the truck “Chester” due to a neighboring farmer had a medium olive ‘69/70 when I was growing up and wouldn’t ya know, his name was Chester. This will not be an exciting “build” but I like to document what I do to my vehicles and this forum gives a good timeline. Hereit is in all its ugliness. I was told it has to be mostly one color before it comes home. My buddy is going to put in new rockers, cab corners, and floor patches before it leaves his place. I spent some time over at my buddy’s house yesterday to get a little work done. The original plan was to start on the rockers and cab corners. Well that didn’t happen. I started sanding on the primer to see what was underneath. Found a little filler but nothing bad and again, this is a beater/driver build. While bs’ing about the paint we decided to run down to the auto paint store and get a spray can of medium olive. We were pretty shocked how well it looked. Might actually do the hood and passenger door with it too. The plan is to sand some of it down for a fauxtina type paint job. Nothing drastic, just trying to match the drivers front fender and will help with blending. I also started redoing some of the wiring as it looked a little sketchy and seam-sealed the cab drip rail. I will be painting the cab white. Also installed the front bumper and headlights. Overall a pretty productive day. It’s a shame we only bought one can of paint. I had a tach dash so I took it apart, painted the needles, painted the black tin, installed the LED lights from my 67 cluster, headlight restore to the insert and added a new bezel. Last weekend I went over to my buddy’s house and we put in new rockers, cab corners and floor patches. Passenger side was simple but the rocker for the driver’s side was horrible. A quick 4-hour round trip to Sonny’s just outside Glasgow, KY yielded us a new rocker, inner rocker and some other goodies “since we where there”. This one fit pretty good and ready for prep and paint. Still need to do a little massaging with it and the cab corner. Got the truck home last night and spent this evening out in the garage doing a little cleaning. I couldn’t help myself and decided to put my Ridlers on it. Looks much better but now it needs to be lowered, like ASAP. I’ve got an issue with the carb not wanting to idle down. Took the carb off and doesn’t look like the gasket is interfering with the butterflies. Gonna try a new gasket and return springs and go from there. Hope to get out in the garage Sunday and start on the interior. I'll be watching. I love builds like this! Cool....plus I like this color. Tagging along. I will be watching too. Wheels look good on there but in agreement on needed lowering. Last edited by FRCvette; 04-01-2018 at 06:13 PM. I'm in to see a Chester revival! Hope everyone had a good Easter. Got a little more done today than I expected. Wasn’t real motivated when I went out in the garage and immediately tinkered with about 10 different things until I started focusing on the engine bay. I decided to start cleaning the engine bay which let me to pull most of the wiring harness and then prep for paint. I shot the heater box, inner fenders, and core support with VHT epoxy paint in Satin Black. I love this paint and use it on almost everything. Overall turned out good. I’m not liking how messy some of the wiring is so I’m redoing a few splices and re-wrapping everything up nice and neat. 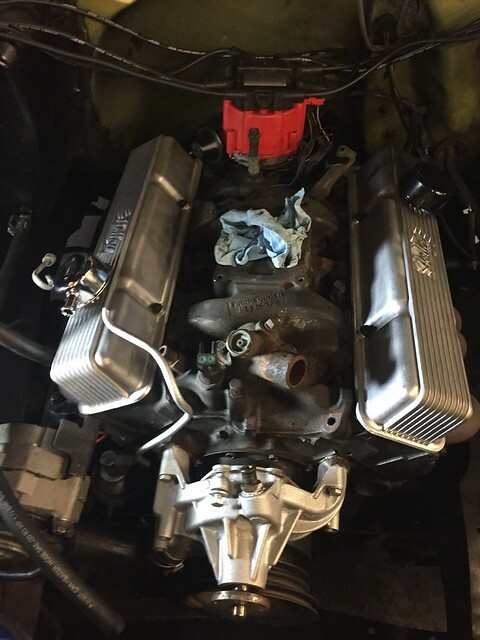 I’ve been talking with a few buddies and given I have an issue with the carb and a few things appear to be halfway done, I’m probably going to be ordering a 600 Edelbrock tomorrow. I feel it will be cheap insurance in the long run. Had a pretty good weekend. Yesterday the C10 Club Kentucky had a meet just across the river. Had a great time hanging out with some great people, eating good food and talking trucks. Picked up a few thing for the truck including some 3”drop springs. Thinking about putting those on, my 2” drop blocks, rob my CPP spindles off the ‘67 and cut a round out of the front to get the truck down a bit. Today I continued to knock the ugly off this truck. I went full redneck and rattlecanned the cab and rockers. Overall for a beater/driver it’s turning out good. The passenger cab corner could be a lot better but it’ll do for now. My buddy installed it in a hurry and I’m not going for perfect. I can always fix it later. Sub’d. I dig it man. Like to see a project that’s a driver too. That’s my requirement from the boss, it can’t be out of commission for more than a weekend. Pulled the truck out last night while I cleaned the garage and did a little rearranging. Overall I'm pretty happy with how its turning out. I do have to keep reminding myself I'm not going for perfection, just a fun driver. Once I get everything complete I will try my hand at "fauxtina" to match the fender and bed. Then it'll be time to put on the rest of the trim. Should start on the interior tonight. Then its time to lower it down a bit. Working on a set of tires (started another thread about that) for these 18s. I currently have 235/55-18s on the front and 255/55/18s on the rear. 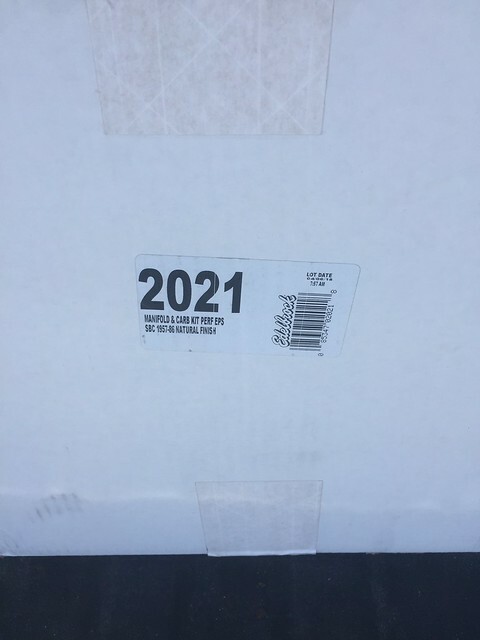 A guy has a deal on a used set of Michelins in 245/60-18 and 265/60-18 in the rear. Current rear tires are 29" tall. The 245s are 29.5" and 265s are 30.5" tall. Not sure if they will be too tall for the look of the truck. That's awesome! I think I saw that truck on CL a few months back, looks like a really solid project. Now I'm kinda sorry I didn't make the drive and check it out. That was probably it. I don't think the pictures did it any justice. I know I dismissed it until I went and looked at it and saw its potential. Plus rockers and a couple of floor patches really cleaned it up. I’m digging the small things that make big changes in appearance. After working on the ‘67 for the last 4 years with no end in sight this truck is getting kind of exciting. Came home and knocked a few things out under the hood and installed the missing trim on the driver’s side. I believe I have 2 solid days this weekend on the truck and should be roadworthy by Sunday. Fingers crossed. Today is interior makeover day. Nice looking driver you got there, enjoy getting it on the road and driving it! Thanks, Keith. That's the plan. Nice think about having another project and changing my mind 1000x is I have a nice selection of parts for another truck I think one more weekend and it should be ready for the road. Then another weekend to get the altitude down a little bit. Nice driver project! I think I need me one of these. I've been wanting to really tear into my '68 but I just have too much fun driving it and using it like a truck to commit it to project hell. Yeah I drove my '67 for summer with nothing but problems. Tore it down and originally had a simple plan. Well thanks to this board and Instagram that plan got derailed. 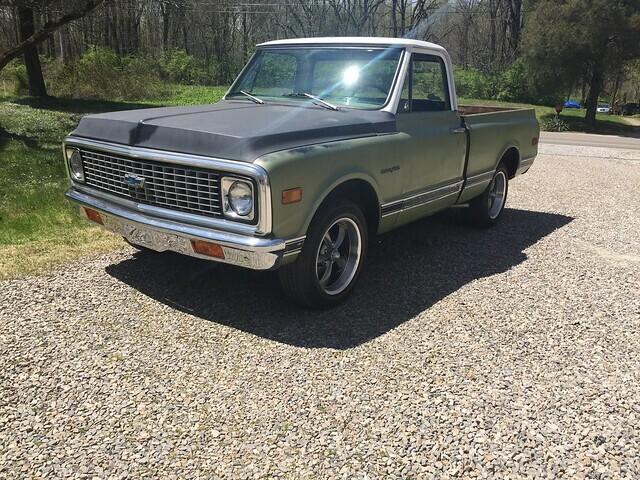 4-years later I'm dying to drive another C10 and got this. It seems most truck guys either go my route or buy one before teardown. The latter is probably smarter. Saturday I tore down the interior, painted the roof and dash, installed dashpad out of the '67, new pedal covers, tach dash (not wired up yet), seat out of '67 (have a set of buddies for it now), and a thorough cleaning. Overall its turning out nice. I also started on the stereo. Test fitted my RetroSound kickpanel pods, lined both the kickpanel and back of pods with DynaMat, and began running wire. Going to run Rockford Fosgate 6.75" components, 4" dash speakers, 4-channel amp and 8" sub under the seat. Should sound pretty good. I've run into a couple of little hiccups with the column. 1) The shift lever I got from Brothers (3-sp manual) is insanely loose. The hole appears to be smaller than the column and doesn't seem to be as long as the original. Still unsure how I'm going to resolve this but its horrible. 2) When I put on my "new" steering wheel I can pull the wheel and steering shaft out about an inch. That appears to have something to do with the spring and bearing at the firewall. Another thing I have to figure out. Looks like this truck is going to fight me as well. Went and picked up my new carb/intake setup. Its an Edelbrock 1406 600cfm carb w/electric choke and Performer intake. I guess I'm going to also run a 1/2" spacer. Another successful weekend on the truck. Worked on some of the wiring under the hood and began the teardown for the new intake/carb setup. I totally forgot you have to pull the distributor for the new intake. I've only done that a couple of times so I'd like to have one of my mechanic buddies to be here to help. The good news with that is it gives me more time to do a little more detailing under the hood. I've got the valve covers on and carb/intake staged. 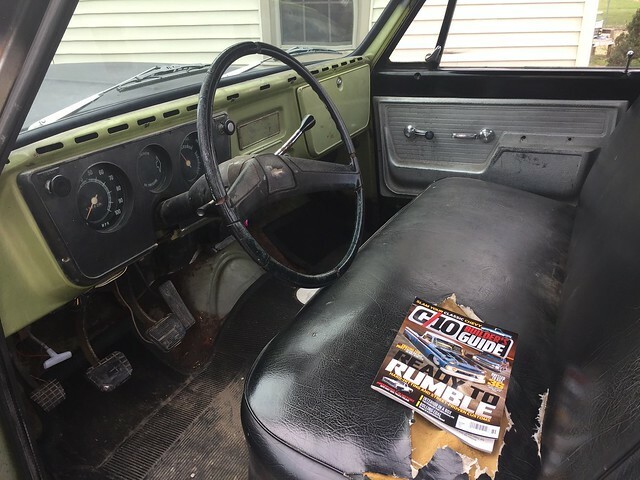 I will say for someone that isn't too familiar with sbc and having a truck that has been "shadetree'd" in the past, I find it very difficult to find good instructions/diagrams. 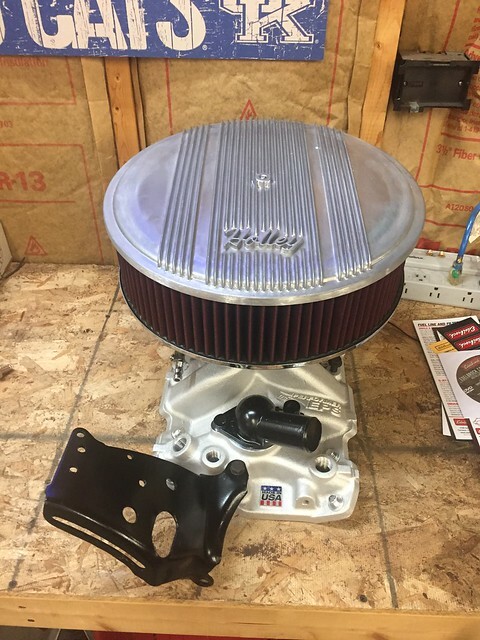 The Edelbrock Performer intake has several boss fittings and nothing to show what goes where. A call to their tech support wasn't too helpful but with their description, an hour or so looking at photos online and a few YouTube videos; I find I need to order a temp sensor and a few block-off fittings. I backed it out of the garage Saturday to catch a little sun. The more I look at this truck the more I want to lower it. I've got a set of drop blocks and 3" springs for the back waiting to go on. I just may be robbing the CPP spindles off the '67 and cutting a coil off sooner rather than later. Looks good!! Did you recover the bench seat? Looks like it. I like seeing the "Green" trucks. They seem pretty rare. I have a seat that I'm getting ready to cover in a green tweed. That seat is going to look good! I bought this seat a few years ago already recovered. It was maroon but I dyed it black using SEM prep/paint. So far its held up rather well. I did do some touchup in normal wear areas prior to installing in this truck. Its way on down the list, but I've been contemplating doing the green Highlander plaid but with black trim instead of white. She HATES that idea though. I've decided instead of painting this hood, I'm going to first try and find a nice patina green hood.